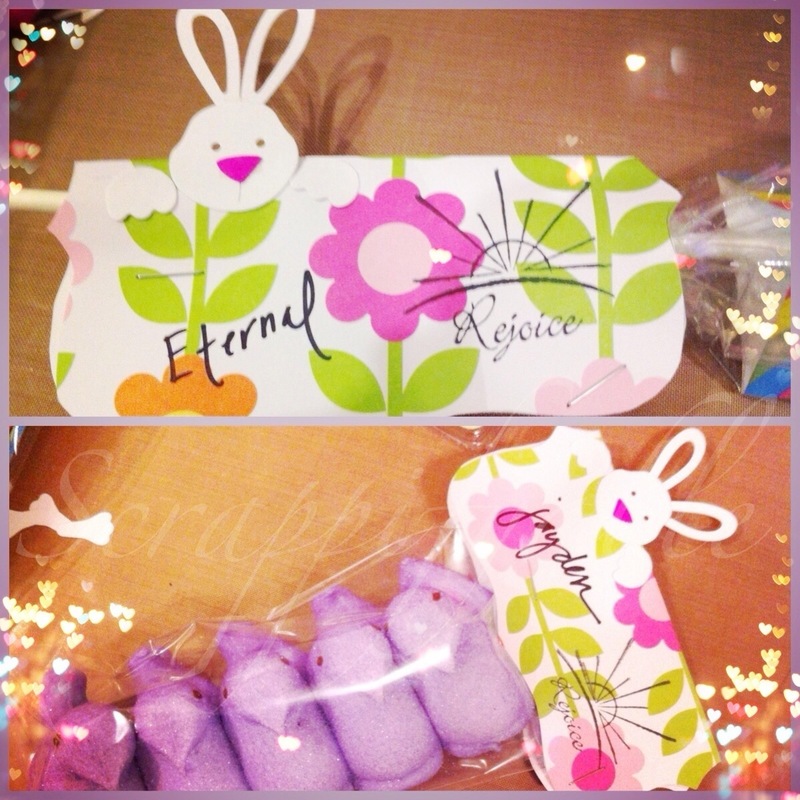 I made these special little treat bags for the many kiddos in my family with Peeps (I LOVE Peeps!). These bags were so quick and easy to do…approx time to complete 5 bags was about 20 mins. So if your in a time crunch (like I was) these are super easy peazy. I used the Kiwi Lane tiny brackets template and traced one back to back. After cutting the traced piece, I scored it down the middle where both ends meet. On these particular pieces I cut out bunnies using the Quick Kutz Peek-a-boo bunny die. I then stamped it with the words "Rejoice". 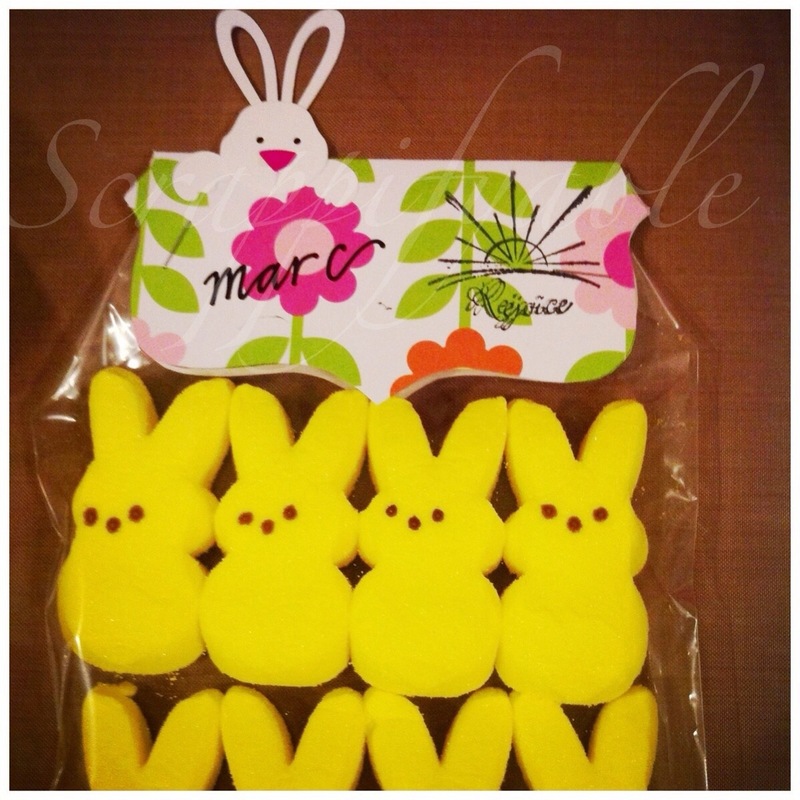 I placed the peeps in cellophane bags and attached the bracket over the opening of the bag with staples. I attached one bracket at the end of a Peep lollipop. I hope you are having a great Easter weekend!